Monday Night Combat is a fine arena shooter for the Xbox LIVE Arcade. We gave it a 4 out of 5 in our review. Fans of the game can now pick up some sweet merchandise from the Uber store. There are four hand-painted resin statues available, pictured above. You can adorn your office cubicle with the Assault, PitGirl, Tank, or Assassin models. These quality statues stand 9 to 10 inches tall and will run you $69.99 to $89.99. 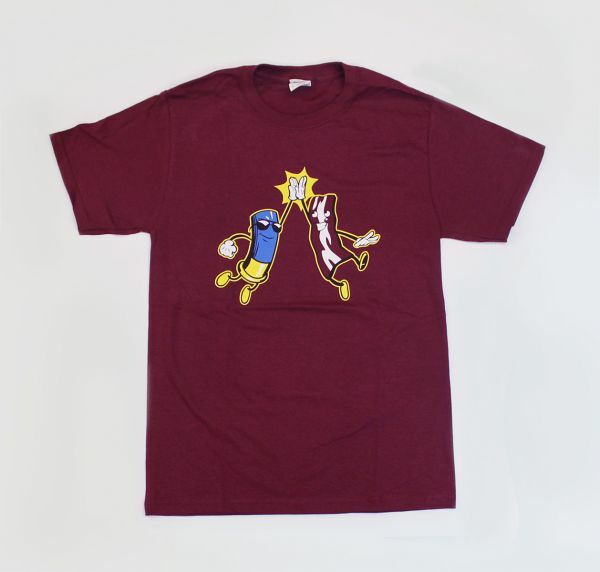 There are some stylish tees featuring logos and iconic imagery from the game for $14.99. There's even a retro style shirt and trucker hat, if you want to be that guy. It's good to see smaller games like this offering up some sweet merchandise to dedicated fans. The Behemoth did something similar with its Castle Crashers figurines. We'll see if other games follow suit. Check out the Ammo and Bacon shirt and a detailed picture of your favorite character below. Ammo and Bacon: the Breakfast of Champions, the Lunch of Legends, the Dinner of BAMFs. Oh my god, I must be psychic! At least I'm going to assume I am from here on out. Remember, every time you think exactly what you are thinking right now, I know it. Creepy. How about you, fair reader? What game do you want to see sweet merch for? Page created in 0.2720 seconds.